Onya Baby Outback is a solid baby carrier that deserves any mom’s attention. It has several different carrying positions depending on the age/weight of your child. It also offers an amazing array of useful features for moms and dads on the go. If you are thinking of buying a good-quality baby carrier, you will be interested in learning what other parents have to say about it. Our review will give you all the information you need to make the right choice. Various moms have been using Onya Baby Outback carrier in different situations, including long-distance travel on foot. This carrier is suitable for many weather conditions and can fit almost any climate and any babywearer due to the light material and adjustable straps. Here are some advantages and disadvantages you can consider before making the purchase. This carrier can be used in the back position, in front and as a chair(!). The chair option is especially useful during travel. The carrier has plenty of storage space. Moms who are using carriers know the importance of additional storage space. Carrying a bag on your shoulder while you have a baby strapped in front (or back) can be really uncomfortable. The zip pockets are very useful for carrying small things, such as phone, money, water bottle or snacks. Onya Baby Outback carrier offers two different ways you can wear shoulder straps. Each mom can choose the one which is more comfortable for her. You can either buckle shoulder straps the same way as backpack or criss-cross them. This carrier is very durable but not too heavy. It is easy to wear and to store. The durability allows the parents feel safe while carrying the baby. Such carrier is made for heavy use, which is especially important for moms and dads who move around a lot. Onya Baby Outback is well designed for baby’s sleeping. The sleeping hood is made from breathable material and makes it comfortable for the baby to take a nap. Toy loops on the shoulder straps provide a great place for hanging toys and help entertain the baby. The carrier has additional options (purchased separately) such as a baby chewer pad and waist belt extender. This carrier is very compact and can be fit into a small diaper bag which makes it easy to take on a trip, which is a major advantage above Lillebaby Complete All Seasons. Onya Baby Outback soft-structured carrier has amazing padding in the leg holes area. There is no front facing position. When babies get older, they like to face the world and seeing just their mom might not be enough. This carrier doesn’t offer such an option which can be a great setback for some children as well as their parents. The carrier is not designed for very hot weather. The sturdiness of the materials is negated by the absence of proper ventilation. However, this is a common carrier disadvantage which baby carrier designers often face. Here, Lillebaby Complete definitely wins here as it has this awesome zip-up area that keeps the baby cool in hot weather. A separate insert needed to support an infant. The insert is sold separately and requires additional expenses. The exterior is made out of rip-stop nylon which is very durable and water-resistant. The inside is equipped with air-mesh lining. This material allows moms and babies to avoid sweating in the comfortable temperatures. There are two zippers on the side that allow you to access the baby and add some ventilation. However, it doesn’t fare well at very high temperatures which is true for all baby carriers. There is extra padding on the seat and at the leg hole area which makes the carrying process comfortable for the child. Onya Baby Outback is very well designed and has a lot of additional storage space to help moms avoid carrying additional bags with them. The great design allows dads to carry Onya Baby Outback with pleasure. This carrier comes in several different colors to suit even the pickiest parent. In this video mom will show various carry positions as well as all the different perks of Onya carrier. Onya Baby Outback has four different carry positions for children from 7 to 45 lbs. Front position is suitable for infants and for babies from 0 to 24 months. This is a perfect position for comfortable nursing. Infants need to be close to their mothers to feel safe. That’s why the front position is perfect for the smallest babies. 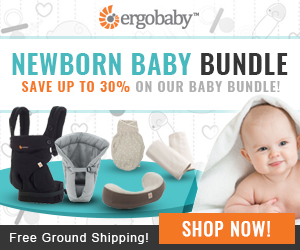 This video by Onya Baby Outback Carrier will show you how to use Onya with the infant insert. Back position is suitable for babies from 6 to 48 months. 6 months is the age when children get interested in what goes on around them while still needing to feel close to their parents. The back position is often preferred by fathers. Although we recommend waiting till the baby is 12 months before using the back carry position. Side position is a great way to allow the baby to see the world, while keeping it close to you. This option is available for children from 4 to 48 months. Such positioning makes it easier for the parent to feed the child or to give the baby toys. The chair position is one of the unique features of the Onya Baby Outback carrier. The chair harness ties the baby to a chair and allows the parents to visit the restaurants without worrying whether it has a chair for their children. Such position can be used from 4 to 48 months. So, the coolest part? The chair harness! Jude LOVES it! Every single time we put him in it, he smiles and smiles. I love seeing those sweet smiles! It’s a pretty simple process, too which is good since I’m not the best at putting things together. Rest assured, if I could do it by myself, it is definitely easy. You basically lay it over a chair, tighten the straps, pull the harness out of the hidden pocket and put your baby in. Below is a video showing you the process if you’re a visual person like me. All four positions are considered comfortable for both the baby and the parent. However, the side position is rarely chosen since the weight of the baby is not evenly distributed over the whole body. This can make the parent feel uncomfortable and get tired rather fast. The chair position gets the best reviews since having such option allows the parents not to worry about the comfort of their child in a restaurant. The most popular options are front and back. They are the most comfortable and the easiest to get used to. It seems as if the manufacturer did a good and thorough job considering the comfort of the baby. The sleeping hood (the storage pouch closes with magnets which makes it very easy to operate for a mom), the leg padding, the toy loops – everything is designed to make the baby as safe and comfortable as possible. The great air-mesh lining helps the baby avoid sweating in most climates. The design allows breastfeeding on the go, which is more than important for the small babies. Different positions allow the baby to either feel close to the mom or be open to the world. Most of the babies that tried it seemed to be comfortable with it. I feel like they really thought of everything when it comes to baby-wearing needs. But really what finally sold me on it was when I tried it in the store my little guy was already tired and fussy from a busy day and once I got him strapped in there he fell asleep instantly. I purchased it with him in it. My little guy gets excited whenever I pull it out and start strapping it on. He clearly loves it too! Special attention should be paid to the comfort of the chair harness. Many babies appreciate the chance to sit in their own chair instead of on their parent lap during meals. This also helps parents relax and enjoy their time at the restaurant. Just like most of the baby carriers Onya Baby Outback will take some time to get used to especially if the parent has never worn a carrier before. However, by following simple instructions it will soon become obvious that this carrier is very easy and comfortable to use. The carrier is very lightweight which makes it much more comfortable to wear than larger models. The special air-mesh lining allows to avoid sweating during warm weather. Additional storage space is a big hit with moms who always need to carry useful things for their babies and are uncomfortable with additional bags. The colors the carrier comes in are neutral and can be suitable for both men and women which can help parents to avoid disagreements. The weight is well-distributed on the hips and the back which helps avoid discomfort during long walks or hikes. X-straps option provides an enhanced weight distribution across the shoulders and upper back. Switching between positions is also rather comfortable and doesn’t require a long time to get used to. The carrier is machine washable. Due to the material durability frequent washing doesn’t affect the overall condition of the carrier. It is important to note that the carrier must be washed separately and can’t be put into a drier. So some time needs to be allowed for air drying. The majority of moms expressed the most appreciation for this carrier for hiking and sight seeing. The Onya Baby Outback is superb for hiking and travelling through towns, airports, or wherever your journey takes you. Having a comfortable and reliable way of carrying the baby is essential to being able to get out in the great outdoors, staying active and exploring! I often saw parents struggling their way through airports with strollers or with their baby in their arms. A good baby carrier makes things so much easier. 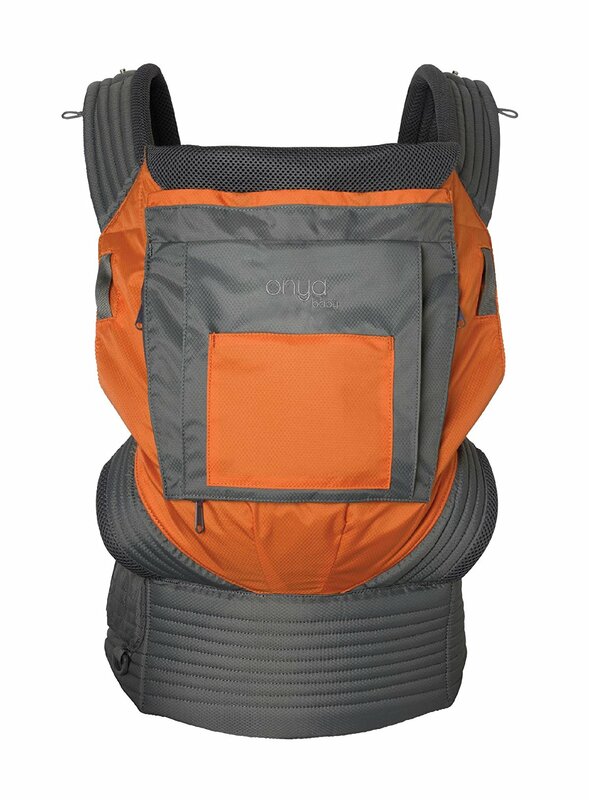 Onya Baby Outback carrier is recommended for parents who like to travel and want to take their small kids with them. The lightweight breathable fabric provides comfortable wearing experience. The chair harness frees the parents’ hands during meals in the restaurants. The x-strap options helps arrange a proper weight distribution. 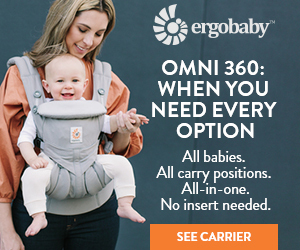 All these advantages coupled with a fair price make this carrier a good buy for moms and dads who are not disturbed by the absence of the front facing position.